When you walk into the yellow building of the Esperanza Community Housing Corporation in Los Angeles, you are greeted by bright paintings done in the Diego Rivera and José Orozco muralist styles. This office and the brick warehouse down the street, which houses the UNIDAD Coalition are the sites where one of the first community benefits agreement (CBA) fully funded by a private developer was negotiated. The San Francisco Public Utilities Commission (SFPUC) provides water, sewage services, and municipal power to San Francisco and surrounding areas. It is also a huge job generator. When I joined the Commission in 2008, I identified three priorities: (i) achieving stronger local hire outcomes; (ii) adopting an environmental justice policy; and (iii) creating an agency-wide Community Benefits Program. In 2002—following a bond measure approved by San Francisco voters that November—the SFPUC embarked on one of the largest water infrastructure projects at a cost of $4.6 billion dollars. The Water System Improvement Project (WSIP), which includes more than 80 projects, is working to repair, replace, and seismically upgrade deteriorating pipelines, tunnels, reservoirs, pump stations, storage tanks, and dams from San Francisco to the Central Valley by the end of 2015. On an Eco-bus tour of Detroit during the 2010 U.S. Social Forum, 17-year-old Janice Nyamakye strives to capture everything with her video camera: the tour guide’s comments, the city sights, as well as the ‘sites’—a dirty incinerator, salt mining operations, and power plants—all located in low-income communities of color. The tour informs Nyamakye’s own work in environmental remediation back home in Worcester, Massachusetts where she has been involved with Toxic Soil Busters (TSB) for the past four years. As an organization, TSB effects improvements in the lives and environments of urban youth by employing them to first test local soil for lead levels, then remediate and redesign affected environments as needed. “We are a youth-led cooperative business,” says Nyamakye proudly. “The youth do everything.” As a videographer, she uses media to connect different EJ communities and amplify the message of youth working for environmental justice. From California to Massachusetts, groups like TSB, Grind for the Green (G4G), and Third Eye Unlimited are using new outreach methods to successfully reach a new generation of information-seeking cyberkids. And increasingly, youth interested in acting for environmental change are finding outlets through national organizations like It’s Getting Hot In Here (itsgettinghotinhere.org) and SustainUs: US Youth for Sustainable Development (sustainus.org). Raheem Payton used to think nothing of littering streets until he discovered his community garden. Now he is angry that he and his friends ever did such a thing. “I’m an advocate for putting your trash in the right place now,” he says, “and I try to keep my friends on the straight path, too.” Payton discovered his calling earlier than other youths through a program called Literacy for Environmental Justice (LEJ) in the Bayview district of San Francisco. 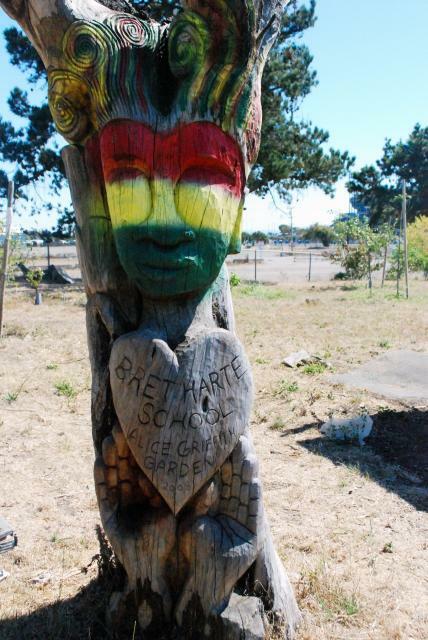 Founded in 1998 by a coalition of youth, educators, and community leaders, LEJ addresses the ecological and health concerns of Bayview-Hunters Point and surrounding communities of southeast San Francisco. The project that Payton participates in operates a native plants nursery at a former dumpsite near Candlestick Park. The garden is the primary supplier of plant stock to two major restoration projects in San Francisco—Candlestick Point State Recreation Area and Heron’s Head Park. Payton works three hours a day in the garden transplanting starter plants into larger pots to be taken to one of the restorations sites. Already, the 18-year-old is hooked on gardening. What will it mean to our oil-steeped economy when we run out of cheap oil? Will it mean the ruined warlike world of Mad Max or the peaceful post-industrial tribalism of Ursula LeGuin? Is there a model for a modern urban post cheap oil society? How, for example, will schools and hospitals provide nutritious meals when there is not enough fuel to haul produce to urban markets. The answer is urban cooperative farming. Utopian though it may sound, the idea is actually Cuban. 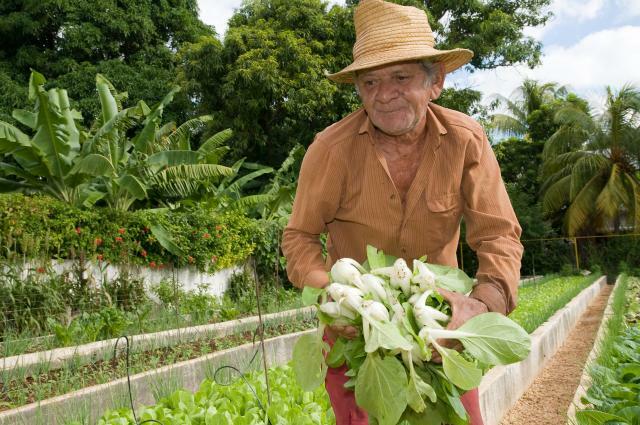 Cubans are actively using urban gardening—an after-work hobby—to help them shed an oil-dependent plantation economy and create long-term sustainability. The small island nation of Cuba has been exploited in the world economy since Christopher Columbus stopped by in 1492, beginning a process of extermination for the native populations and sowing the seeds of a plantation economy based on slave labor. For most of the last 500 years, Cubans have grown sugar, coffee, and tobacco for foreign markets: first Spain, then the U.S. and the Soviet Union. Out of necessity, the people of Detroit are shaping alternatives to the urban wreckage left by the collapse of the auto industry. And new possibilities are emerging across the city: Eastside residents have transformed their neighborhood into an outdoor public art exhibit with waste materials collected from vacant lots. Just a short drive away, a group has purchased storefronts, planted fruit trees along a few city blocks, and renamed the area “Hope District.” Elsewhere, another group has reclaimed two acres of unused and underutilized land in the city to grow produce that feeds community members. In short, the movement in Detroit is putting forth a model for creating solutions rooted in frontline communities and place-based relationships. 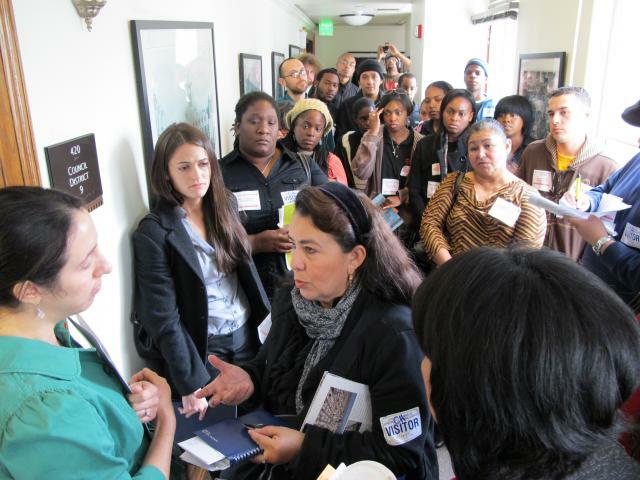 On the final day of the 2010 United States Social Forum scores of local activists and several hundred of their allies from across the country held a series of rallies targeted at the city’s municipal waste incinerator. The Social Forum had chosen Detroit because the city represents all the vast failures of corporate industrialism and immense possibilities for renewal. The closure of the incinerator four months later, temporary though it may be, showed the prescience of the Forum in its choice of target. Given the wide range of themes discussed at the forum—from immigration to gender to militarism to media justice—and the broad set of issues facing Detroit—from evictions to utility shutoffs to unemployment rates of up to 50 percent—the focus on the waste incinerator for the forum’s closing action was significant. As the marchers made their way through the nearly vacant neighborhoods of this once thriving metropolis, one chant evoked a complex web of memories. To locals, “Detroit shall burn no more!” brought to mind the 1967 race riots that resulted in thousands of buildings being burned, as well as the inner city arson incidents of the eighties, when property owners would burn down their unmarketable homes for insurance under cover of Devil’s Night (the night before Halloween). This time around, however, the metaphor served to connote the burning of waste and rising global temperatures.